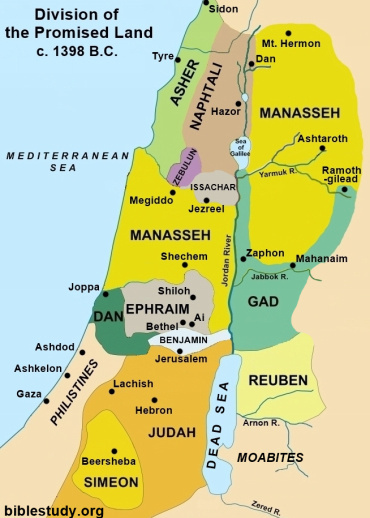 Ancient national Israel, from its beginnings in the wilderness through the Divided Kingdom and Exile right up to the time of Christ, was a world very different from our own. Its members were people who struggled with the same sins and had the same hopes and dreams we do today, people we could probably relate to over a cup of coffee, but the way that struggle played out and the way those dreams were expressed is foreign to us. The Bible is a transcendent text inspired by the immanent God; its truths are applicable to every time and place. Nevertheless, we cannot understand a book like Zephaniah without coming to grips with the surroundings in which it was written. We already touched on the fact that the economy of ancient Israel (united and divided) was based on a system of bartering. Coinage existed and was certainly in use by the Roman period, but the change from “good for good” to “money for good” was gradual. The average person living in one of the many villages wasn’t going to have access to pouches and pouches of coins. He would trade a portion of whatever crop he had grown (remember, this was an agrarian society) with someone who had what he needed or wanted. Water was a necessity, so groups of families would cluster around wells and from there villages grew. There were a handful of walled towns outside of Jerusalem, but these weren’t much bigger than the villages. 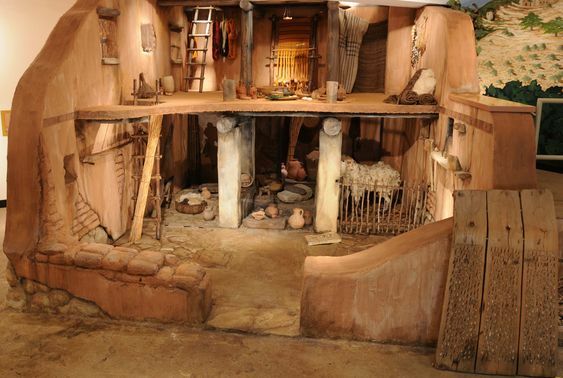 Homes were small, made of baked clay, wattle-and-daub or straw brick materials. Often an outside staircase led to the roof, providing more living space during mild weather. Most families had a few animals, such as sheep or goats, who lived in the home with them (unless they were dedicated to the keeping of livestock, in which case the animals would have been too numerous, requiring a separate shelter, such as the one that served as a maternity ward the night Jesus entered the world in His Incarnate form [Luke 2:7]). Here families would live and love and work and play and eat and sleep, just as we do today. …most of the women who lived in a village would probably have had some sort of garden as a source of food, flowers and pleasure. Both men and women would educate their children, largely through an oral tradition. The average person may not have been able to write well or at all, but literacy was widespread enough so that at least a few in the village, always the rabbi (they weren’t called that until roughly the time of Christ), would have been able to read the Torah, for it was important to know and understand its precepts so they could be lived out and passed on to others. Village life cannot be understood apart from the Tribes. Jacob, whose story takes up several chapters of Genesis, had 12 sons: Reuben,Simeon, Levi, Judah, Dan, Naphtali, Gad, Asher, Issachar, Zebulun, Joseph, and Benjamin. (He also had at least one daughter, Dinah [Genesis 34]). As those sons had families, those families began to identify themselves as descending from a particular son, and thus the tribes were born (except Joseph; his descendants identified with his sons, Manasseh and Ephraim, because Jacob blessed them on his death bed [Genesis 48]. They were “half-tribes,” keeping the total number at 12. Just go with it). Within the tribal structure, the family served as the core of Israelite life. It defined the way each individual fit into society. These kinship relationships could be biological or forged. For example, land was passed down from one generation to the next, with one son–usually the firstborn–receiving an extra portion. In the event that a male heir was lacking, the patriarch of the family had the option of adopting a son who would become the heir to the family estate. In addition to adoption, kinship ties were also forged through marriage. Such familial ties served as a means for Israelites to interact with one another, exchange goods, and settle or prevent conflicts. Above all, ancient Israel (and the Kingdom of Judah, to whom Zephaniah wrote and among whom he ministered) was a place of religion. There was no distinction between the sacred and the secular. God ruled over all. There were instructions, carefully laid out in the book of Leviticus, for how a person was to live her life. The calendar was governed by a cycle of sacrifices and celebrations, outlined in Leviticus 23. Though it turns our stomachs, the people would have been very accustomed to the sights and smells associated with animal sacrifice. (There were grain and drink offerings as well). (3) Though we may not fully understand the reasons for eating kosher, they knew nothing else. Every part of their lives was lived according to God’s standard. Well, was supposed to be lived according in God’s standard. In Deuteronomy 28, part of Moses’ lengthy farewell sermon, the blessings for obedience and the curses for disobedience are clearly laid out. In chapters 29 and 30, he calls on his audience to reaffirm the covenant made at Sinai. Unfortunately, it took only the death of Joshua and his generation (those who succeeded Moses in shepherding the people) for the nation to turn away from the covenant (Judges 2:10-11). Though there were always those who were faithful to God, the rest of Israel’s history as recorded in the Old Testament is one of back and forth and eventual slide into total rebellion before the Exile in Babylon. There are many differences between our world and that of ancient Israel. What similarities do you see? Read Hebrews 9-10:18. What were the animal sacrifices meant to convey? To Whom did they point? Why are these sacrifices no longer necessary? Read through Zephaniah again, this time imagining yourself a member of that society. What stands out to you? (4) Note: God did not completely abandon His people, as seen in the during-Exile books of Daniel, Ezekiel and Esther, and the post-Exile books of Ezra, Nehemiah, Haggi, Zechariah and Malachi. He is faithful to His covenant. Nevertheless, His glory or felt presence left the Temple (Ezekiel 10) and would not return until the presentation of Christ (Luke 2:22-38).